Sometime in 2009 a terminally-ill President Umaru Musa Yar’Adua went into a sudden relapse and had to be rushed to a Saudi Arabian hospital. And this time the man was hanging virtually on a gossamer of hope he might live, even if it was only so he could finish up his barely two-year old first term. But as concerned Nigerians anxiously fretted over the ominous clouds looming above the nation’s gloomy firmaments, many of the geo-ethnic hawks in Yar’Adua’s Peoples Democratic Party, PDP saw instead a beautiful silver lining, -an opportunity to stir up geo-political and ethno-religious mischief. They would soon instigate a needless constitutional crisis in remonstration merely of the fact that Yar’Adua left without transmitting to the National Assembly a letter, as recommended by Section 145 of the Constitution, to make Vice President Goodluck Jonathan President, in ‘Acting’ capacity. For Nigeria, this was an excellent recipe for, -or a casus belli if you will- to justify sectional combat. And –like the bellicose, cantankerous Tasmanian Devil dog of the Australian outback- soon Nigeria’s grouchy ‘tribes and tongues’, her fanatical ‘faithful and devout’, would jump at each other’s jugular, as we always do, even at the most trifling of issues, spoiling for who controls the most of the levers of political power or who has the unenviable lot of holding the short end of the gaming stick. By the way even before it had to be amended afterwards, Section 145 of the Constitution which recommended that a President proceeding on leave might transmit a letter to the National Assembly, was actually premised upon the conditional conjunctive ‘whenever’, -i.e. “Whenever the President transmits…”. It had not the ‘mandatory’ verb-to-be ‘shall’ which commands the performance of a duty, -as in: “The President SHALL transmit…”. And so it was clear that President Yar’adua, although he was morally obliged to ‘transmit’ a letter to NASS, knowing that could provoke sectional and sectarian sentiments, he was not constitutionally obligated so to do. Nor would failure on his part to do so have left the Vice President any less legally capacitated to function as ‘Acting President’ in the absence of the President. Reason being that in actual fact the whole idea about conferring ‘Acting’ Presidency on the Vice President is more nomenclatural or designatory than it is essentially a capacitating or empowering constitutional exercise. Because even in his capacity as ‘Vice President’ who was elected in duality with the President, Jonathan would automatically be imbued with presidential powers any time the President officially was out of orbit and the cosmic destination of the presidency would suffer no geologic delay. The vacuum is self-filling. It does not necessarily require the mechanics of constitutional ritual to be filled. 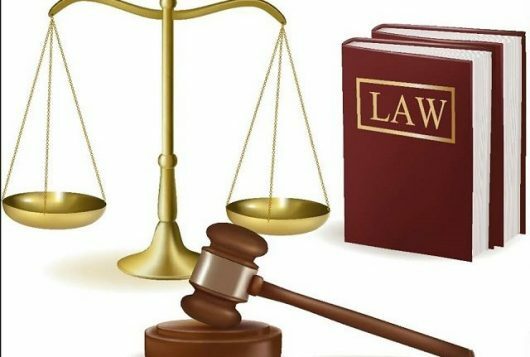 The reason we bicker over what should be legal from what is not, is that we –Nigerians especially- have elected always to hold ourselves captives of the naked ‘letter’ and not freeborn of the liberal ‘spirit’ of the law. Our lawyers and judges, for their own selfish reasons, are happily subservient always to the written ‘law’ and not to the jurisprudence of it, which provides the philosophical underpinnings or raison d’être for its existence in the first place. Neither the bar nor the bench are prepared to liberate us from the usually complex hyacinth of duplicity that almost all un-reformed English systems of law are hostage to. It is not true that the hands of judges can be tied by the rigid provisions of the law as most crooked judges would want us to believe; rather it is the rigid and illiberal disposition of judges who will not apply their judicial minds to the jurisprudence of law that make it well-nigh impossible for the courts to do justice according to law. As Lord Denning said in his ‘Landmarks In The Law’ “A judge must not alter the material of which (a piece of legislation) is woven, but he can and should iron out the creases”. But Justice Abutu of the Federal High Court was not one such slave of the written law to the exclusion of its unwritten spirit. He had a judicial mind that was amenable to the vagaries of the jurisprudence of law when Femi Falana sued to compel a bed-ridden Yar’Adua, to transmit a letter to the National Assembly, so that an ‘un-capacitated’ Vice President Jonathan could act as President. Justice Abutu, in throwing out that suit, had said that Jonathan as ‘Vice President’ even without such trifling investiture as ‘Acting President’, had all the powers of a president as provided in Section 5 of the Constitution and that rather than quibbling and splitting hairs over such trivia, he should get down to action as the constitutional spare tyre that he had sworn to be. Rather than disqualifying himself under the presumption that he was not constitutionally capacitated to act as President, Jonathan was supposed to have assumed the capacity so that the onus would lie only on those who had any imputation to the contrary, to sue to challenge the legality of his presidential actions. And in fairness to Jonathan he had in fact from the outset, started doing just that, especially when he deployed the armed forces (one of the most important duties a President undertakes in a democracy), to Plateau State in the wake of an outbreak of ethno-religious bloodletting that year. But soon after that a manipulably conniving Jonathan would lend his ears to the mischievous instigation of the geo-ethnic hawks of his party to insist that thenceforth he had to be made Acting President before he could function in lieu of the President. First, he claimed that he lacked presidential powers to swear in a team of Federal Permanent Secretary; and thereafter as the then Chief Justice Idris Legbo Kutigi’s tenure came to an end, Jonathan also said he could not swear in his successor, Justice Katsina Alu. If Justice Kutigi could not stay in office a day longer than his tenure and if Jonathan would not swear in a new Chief Justice, then the PDP hawks would’ve achieved their objective of hoisting on the nation a needless constitutional crisis. The outgoing Chief Justice, was said to have dug in the archives for days to unearth the shred of an old, scarcely used ‘Oath Act’ and from which he derived the power as outgoing Chief Justice to swear in his successor. And the good thing was that Justice Kutigi was able to do that in good enough time to avoid that constitutional crisis which the PDP mischief makers had hoped was already a fait accompli. Ironically a new Chief Justice in the person of the late Katsina-Alu would come on board as the new Judicial Sheriff in town and whose scandal-tainted tenure would bring the image of the Nigerian Judiciary to an all-time low especially with the alleged attempt by the late Chief Justice to compel the then President of the Court of Appeal, Justice Ayo Salami, to influence the outcome of some state election petitions. The National Judicial Council NJC of which the Chief Justice, Alu was head and most of whose members (as with all Chief Justices) he had not only the privilege of appointing but also the control of the perquisite of office to influence.